I get asked a lot what my favourite essential oils are. There are so many options and it can totally overwhelm people to try and know what to use and for what reasons. I always tell those new to essential oils to buy the starter kit. 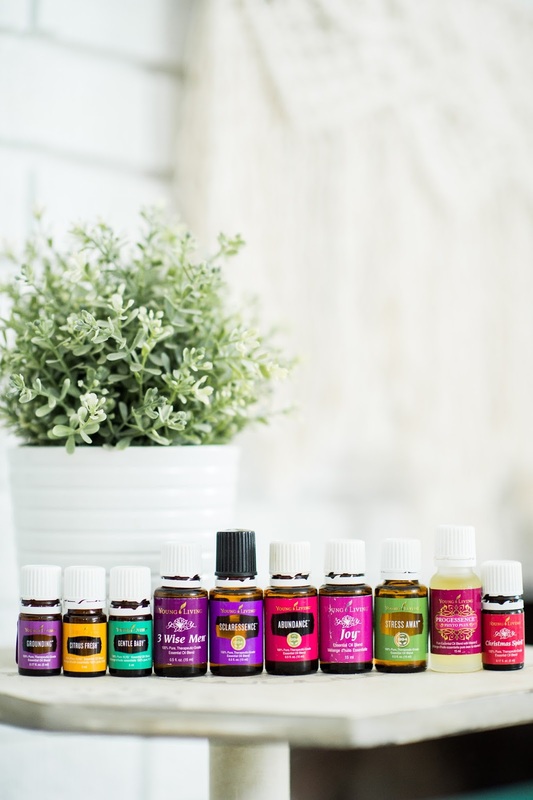 It is such a great help for you to get started with oils! 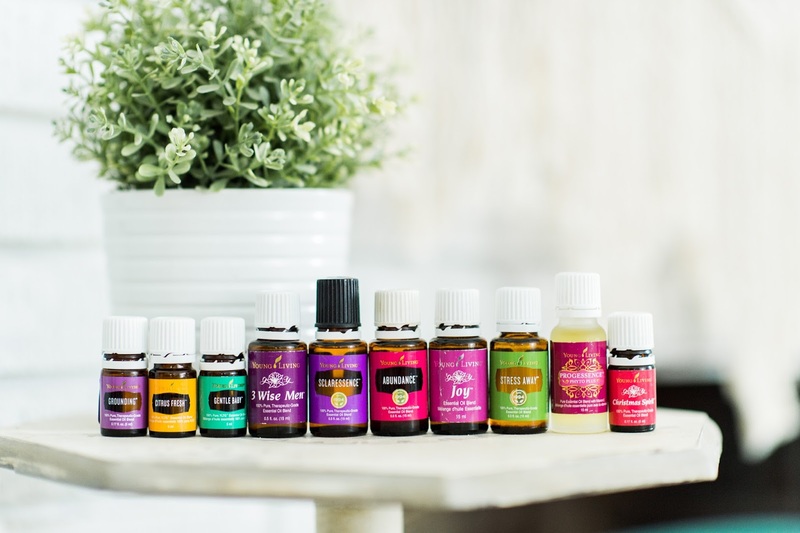 It comes with 11 eo's and a dewdrop diffuser, you save 50% of the cost of buying everything separately by buying the bundle, and they are a great intro to oils. The kit is perfect for every household's basic needs - pain, headaches, skin health, bruises, cuts, burns, arthritis, muscle and joint discomfort, eczema, calming nerves, natural cleaning solutions, DIY creams, digestive discomfort, household pest repellents, and so much more. It's basically your go-to natural health kit! However, after getting a kit and falling in love with the oils in their home, many people ask me what about ALL the other oils. Basically - what's next? What do I buy now? The answer can be different for everyone - maybe you have a specific need and you're not sure what may help you. For that, I really strongly suggest buying yourself an oil handbook here. ^ There is so so much info in these books. You can search by medical condition or symptom to find what has traditionally been used in natural medicine to help with your need. I am not a doctor so I can't treat, diagnose, or cure anyone...but I do like to pass on great references so people can do their own research! As well as getting yourself a book, check out this link. It outlines all that Health Canada has approved our oils for and it's super helpful! Okay so back to my oil blend favs! Beyond the kit oils, hands down, my fav oil blend is M-grain! It contains basil, marjoram, lavender, peppermint, Roman chamomile and helichrysum. Marjoram, basil, Roman chamomile, and lavender are all approved by Health Canada to ease headache symptoms while helichrysum and peppermint are approved for muscle pain. As well as the above, ALL of these individual oils are approved by Health Canada for use when stressed and uptight. So put it all together...and well... you can see why this blend is truly beneficial! I apply on the back of my neck, behind my ears, and on my temples. Outside of M-grain which I felt deserved it's own special mention, I have gathered my "runner up" 10 fav oils that are not in the starter kit. In no particular order: Grounding, Citrus Fresh, Gentle Baby, 3 Wise Men, Sclaressence, Abundance, Joy, Stress Away, Progessence Phyto Plus, and Christmas Spirit. It's really important to note that this answer is going to be different for everyone because everyone has their favs. I am gonna go through the list and explain my choices though so you can see why I love these! This is a blend I got simply because I felt like I often felt like I needed support to feel grounded, plain and simple. You know when life throws you curve balls and emotionally and mentally you just feel beat up, like you have a hard time feeling calm and stable? This is a newer oil I turn to. I use to use Peace and Calming but I found it made me TOO calm and I wanted to nap! Lol! With a baby, I really needed something calming without also helping me want to sleep, so this oil is my new go to. I love how it makes me feel. It contains: ylang ylang, white fir, pine, spruce, juniper, cedarwood, and angelica. If you don't know anything about those oils, definitely look them up as individual aids. They are all such powerful oils. Tree oils all have a special way of helping us feel grounded emotionally while also feeling energized to do what we need to do. If you aren't sure how a tree oil can help you, think of how a tree is so deeply rooted and firmly planted, yet reaches up high and offers so much to the world around it. I love tree oils because that imagery shows exactly how those oils make me feel. All citrus oils are fantastic and this blend is basically the benefit of all of them! Citrus Fresh contains orange, lemon, tangerine, spearmint, grapefruit, and mandarin oils. Citrus oils are so uplifting to our senses and they inspire positive thinking. I use Citrus Fresh for cleaning, combined with Thieves which comes in the kit. I add Citrus Fresh to a spray bottle with water and spray and wipe down our counters and bathroom. I also add it to my mop water. We don't use any harmful harsh cleaners in our house. We use Norwex cloths, Thieves household cleaner, Vinegar, Thieves EO, Citrus Fresh EO, baking soda, and water. I will do a post sometime of how I use all of these for cleaning but it’s amazing how well they all work. I don’t feel like I am compromising on how clean our house is, in fact I am confident it is *more* clean since we use Thieves. More on that another time! Gentle Baby is a gentle blend formulated to be gentle for babies! It is used by babies, children and adults alike for a calming, supportive scent. I use it by adding to salts and then adding into my baths. I also use it mixed and diluted in coconut oil and rub it on Isla to help with dry skin. It’s a great oil to diffuse in the home and has many benefits. K… I know this blend has the MOST random name! Lol. Does it smell like Christmas? Nope. So why the name? This blend is made with what I believe to be some of the most powerful essential oils in the world. Frankincense, myrrh, sandalwood, juniper, and spruce. What’s up with these oils? Well I was drawn to this oil. As soon as I smelled it, I was just so drawn in and obsessed…I couldn’t even explain it. When I google it, this oil is said to release negative emotions and I definitely can attest to that. When I am reeling and feeling very troubled and unsettled, this is my go-to every single time. It helps me feel safe, secure, and basically able to relax and release my fears and negativity. I use this oil with prayer and it is considered a highly spiritual oil, though you don’t need to be a spiritual person to use it. I know many haven’t tried this oil blend (even the longtime oil users) and I challenge you to try it - I would LOVE to hear people’s thoughts on it! I basically see this blend as a fusion of Digize blend and Clary Sage EO. Clary Sage is a powerful oil (that I HATE the smell of) that helps me so much, especially to ease all sorts of monthly discomforts. This blend is also powered with peppermint, fennel, and spanish sage. I honestly recommend this one to all women roughly aged 13-55 if you catch my drift…lol. You’ll see in the above photo that this oil has a black lid on - this is because I’ve swapped out the top and added a roller ball top to mine! I rub this on my lower abdomen and voila - relief. I bought this oil blend after I went to YL Convention in Utah. There was this display set up featuring all the high-ranking Young Living leaders…basically people who make 100k+ a month. Yup you read that right. In the feature, it had the photos of the leaders as well as their favourite oil. I kept noticing a trend - many of them listed Abundance. I had never even tried it but I thought “maybe this is the secret to getting rich too…” Lmao…TOTALLY joking. Abundance isn’t about how much money you have. Abundance, as a concept, is the belief that you have all that you could need. It’s more of a mental battle than anything else. So many people live their life lacking abundance, and many also believe they don’t *deserve* it. To me, this oil helps me to release negative thoughts associated with what I feel I deserve or don’t deserve in life, so that I am able to let the good in. We are all meant to live with abundance and I think when we constantly believe good things won’t come to us, they don’t. Our thoughts and beliefs form physical realities, and I love this oil to help me think positivity about what God has for me and to believe in goodness for my family and shake fears away. This was one of my first oils and used to come in the old starter kit. It’s a truly happy blend - floral to the max. It is my happy go-lucky hippie oil, cheers me up, doubles as a non-toxic, safe to inhale perfume. It’s lovely to diffuse on a spring day (not that we know what that is this April…lol). If you wrestle with feeling positive and embracing happy thoughts, Joy oil is totally for you! Well, the name speaks for itself. Also you may be thinking “Sam, how may freaking emotional support oils do you need? !” The answer is all of them, guys, all of them. LOL. For real though, did you know more and more studies are linking physical disease to thoughts, suppressed memories and negative emotions or trauma? Instead of simply living our lives treating physical issues at a symptomatic level, why not work on ourselves *preventatively* so we can change our thought patterns, heal our emotions, and transform ourselves from the inside out? Stress wreaks havoc on the body - you don’t need to believe in nature’s healing to believe that statement to be true because all doctors agree. So what do we do with our stress? Life can be stressful, there is no avoiding that. However, there are aids to deal with stress real time, as it hits, so we can cope and release the negativity before it is buried within us. This oil is another one I have a roller ball on and it goes with me literally everywhere - it’s always in my purse. It helps me calm the frig down and I am a big fan of that! I rub it on my wrists, inhale deeply, and pause to take a moment to breathe, and believe it’s gonna be okay. Baby steps to wellness my friends. This one’s hard to talk about. Not cause I get choked up, but because it’s hard to say anything compliant…lol. I am committed to being compliant with our health regulations in my country cause I am a brown-noser like that. You aren’t gonna see me making outlandish claims about essential oils curing world hunger - not one of those weirdos. I love oils and love what they’ve done for me but we can’t make claims that aren’t backed by studies in our country - that’s the law. So this is me obeying and honouring that. So…get yourself a reference book or google it. This unique oil blend containing wild yam extract is a game changer. And it also smells really intriguing and uplifting - if you’re a woman of any age, this ones for you! Daily use, on your wrists. Get it girl. Where are you Christmas? Why can’t I find you? Jk…man I am so silly today. This oil, though it’s freaking so great at Christmas time, is amazing all year ‘round so don’t let the name trick you into thinking it can only come around once a year. It’s so heavenly - one of my absolute favs to diffuse. It contains: cinnamon bark, orange, and spruce. It’s just so so good. You can easily diffuse those three oils if you don’t have the blend. I don’t care how you do it - but I am telling you. Young and old will flock to your diffuser asking what the heck that amazing smell is. It’s my fav diffuser blend and everyone loves it. People can be picky about floral smells - some love it, some hate it. But who can hate this smell? It’s just so good. Well that brings me to the end of my list. What did you think I missed? I’d love to hear what your fav blends are and how you use them in the comments! If you haven't yet tried Young Living, click here to make a free account and get started with oils. It is hands down one of the best decisions I've made for my health and wellbeing and I am so strongly supportive of helping others help themselves too! If you don't have a kit, the link above will help you, but you can also skip that step and shop for individual oils too - there are many options and you can make what decision you feel is best for you.